As the hot-car death rate remains stubbornly high, new sensors and other reminders are in the works; Nissan to make its alert a standard feature, a step advocates have encouraged. Drivers get reminders to wear a seatbelt, turn off the headlights and close the gas-tank door. Now, they’re also getting alerts to check the back seat for young passengers. This year 29 children have died from vehicular heatstroke, on pace to make 2018 one of the deadliest on record, according to KidsAndCars.org, a child-safety advocacy group. Heatstroke is the leading cause of non-crash vehicular deaths for children younger than 15, according to the American Academy of Pediatrics. The number of deaths—an annual average of 37—has remained stubbornly consistent for years. Most are caused when children are unknowingly left in a car. Amid concerns that the number of deaths hasn’t declined, more measures to prevent them are under way. New car technologies, phone apps, car seats and education efforts aim to keep drivers aware of young back-seat passengers. Nissan plans to announce on Tuesday a system that will remind drivers to check for occupants in the back seat. Nissan’s system will become standard on all four-door trucks, cars and SUVs with power locks by its 2022 model year. Nissan is believed to be the first to make such an alert a standard feature across its fleet of applicable vehicles, a move safety-advocates have long recommended. Last year, Nissan made the technology standard on its Pathfinders; more vehicles will have it this year. The system detects when the rear door is opened and closed before and while the car is on. After a trip ends, a reminder to check the back seat appears on the dashboard. If the rear door isn’t opened, the horn “chirps” six times. This year General Motors expanded its rear-seat reminder system, available since 2016, to 29 models. It plans to make the alert standard on most four-door vehicles, says Tricia Morrow, a GM safety strategy engineer. This month, some of Hyundai Motor ’s 2019 Santa Fe models are hitting dealerships with a new rear-occupant alert system. It involves a motion sensor that sounds the horn if movement is detected inside the back seat for up to 24 hours after the car is turned off. The system also sends an alert to the owner’s phone. Hyundai hopes the motion sensor will save children whom a driver has left behind as well as children who enter a car on their own but can’t get out—the cause of nearly one-third of hot-car deaths, according to KidsAndCars.org. The auto makers’ moves come as the Hot Cars Act of 2017 makes its way through Congress, so far with bipartisan support. The law would require auto makers to equip all new cars with systems that alert drivers to check the back seat once the car is turned off. Vehicular heatstroke deaths of children increased in the 1990s as states required that car seats be placed in the back to avoid front-seat air bags. Even on cool days cars can heat up quickly, rising nearly 20 degrees Fahrenheit in just 10 minutes, experts say. Because a child’s body heats up three to five times as fast as an adult’s, heatstroke sets in swiftly. To highlight the risk, the Weather Channel developed the “Scorching Car Scale.” For example, if the forecast for Omaha is 86 degrees Fahrenheit, after 10 minutes it will be 105 degrees inside a car, and after 30 minutes it will be 120 degrees. This month, the Weather Channel and the National Highway Traffic Safety Administrationannounced an effort to raise awareness of the risk of hot cars. The move is part of Nhtsa’s new push this summer to encourage bystanders to act if they see a child alone in a car. “Anybody can notice that there’s a child in the car, dial 911 and make a rescue,” says Heidi King, Nhtsa’s deputy administrator. Parent-communication apps used by schools and daycare centers are adding notification tools to alert families when a child doesn’t arrive. 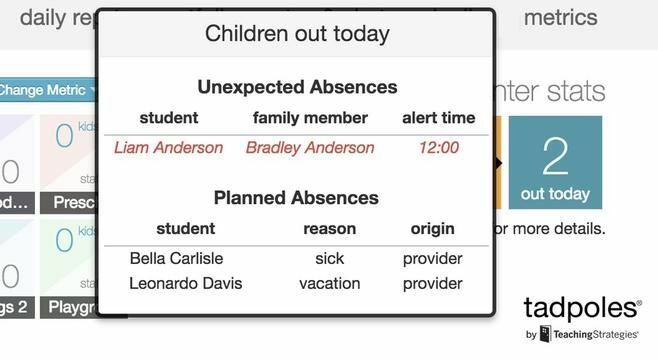 Tadpoles, an app used annually by more than 3,000 child-care centers, recently launched its “Unexpected Absence” feature. “Rather than blaming parents, we need early-childhood programs to think like partners and figure out a solution,” says Kai-leé Berke, CEO of Teaching Strategies, which owns Tadpoles. Ms. Berke says the change was inspired by Karen Osorio, a Procter & Gamble scientist who lost her daughter to vehicular heatstroke last year. Ms. Osorio, her husband and severalP&G colleagues formed the Sofia Foundation for Children’s Safety to educate parents and others about the risk of hot-car deaths. 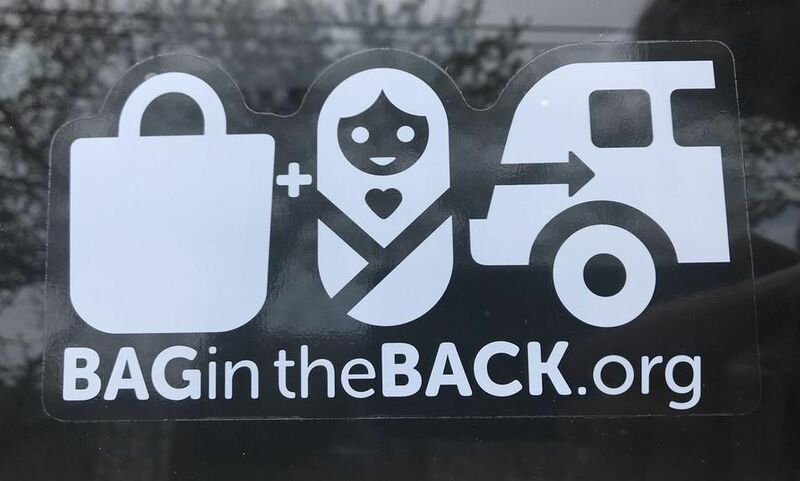 The foundation has been reaching out to pediatricians and parents, urging drivers to put a “bag in the back.” If drivers get accustomed to placing a frequently used item such as a bag in the back seat, they will habitually check the back seat every time they leave the car, Ms. Osorio says. This month, P&G’s Pampers brand began distributing in hospitals pamphlets that include the “bag in the back” advice, reaching about 500,000 families, the company says. 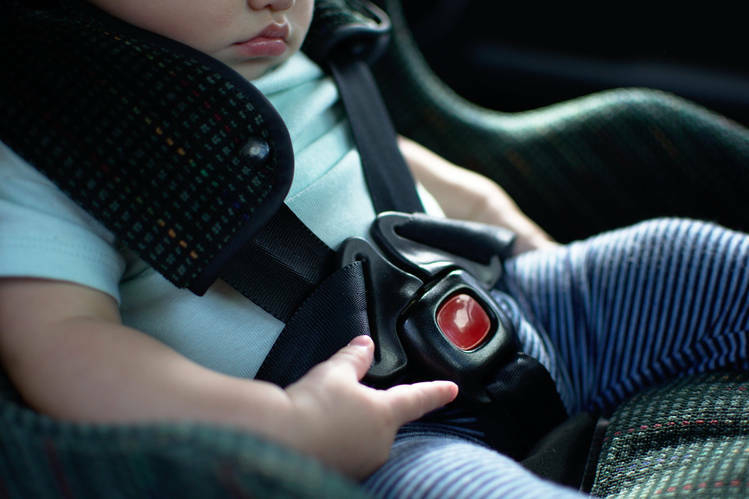 Goodbaby International, maker of Evenflo and Cybex car seats, in 2015 introduced a sensor system on some models’ chest clips, which chimes after the ignition is turned off, reminding the driver that a child is in the car. The feature can be linked to users’ cellphones, including notifying designated contacts if initial alerts to a caregiver go unanswered, the company says. Homespun efforts are also on the rise. Ms. Fennell keeps a list of more than 300 people who have sent her organization product ideas. This month KidsAndCars.org began promoting “CellSlip,” a pouch that blocks mobile phone signals. Keeping a phone in the pouch in the back seat cuts down on distractions while driving and provides another reason to check the back of the car before walking away, Ms. Fennell says. Another idea comes from a Florida company, Sense A Life Corp. , which has developed a wireless sensor technology that gives drivers multiple alerts. Sense a Life’s CEO, Fadi Shamma, is a pharmacist by day who has spent most nights and weekends in recent years working on the system with his neighbor, Jim Friedman, an electrical engineer. “We kept hearing about these deaths and knew we had to do something,” Mr. Shamma says. 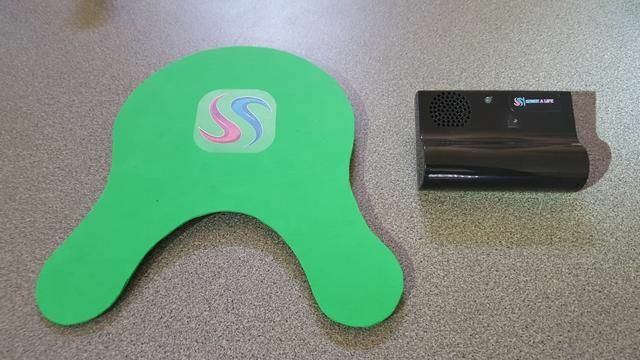 Sense A Life Corp. developed a wireless sensor technology that offers drivers multiple alerts to make sure a child isn’t left in the car. PHOTO: SENSE A LIFE CORP.